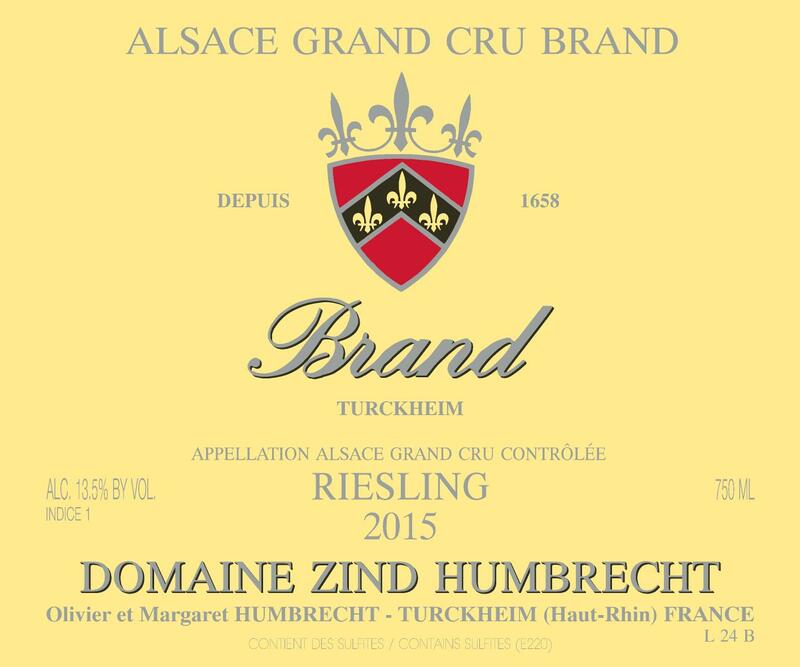 Brand is a large Grand Cru, it covers the hillside just behind the village of Turckheim. There are multiple sub-sections but our oldest vines used to produce this wine are located in the Steinglitz and Schneckelsbourg parts. Brand is extremely warm and precocious. Young vines will suffer a lot in hot years, but old vines will eventually be able to penetrate the biotite granite and find minerals, clay and some water, so vital in a hot vintage like 2015. The precocious character of this vineyard shows in the wines from Brand. They are often generous, ripe and expressive at a young age. From older vines, Brand can acquire a big structure and becomes age worthy. The 2015 was harvested very ripe and healthy, but very efficient wild yeast made it possible for this wine to go far in the fermentation. 8/2017: bright yellow/gold colour. Complex and elegant nose, it feels open today because it is showing some accessible fruit. However, it will take a few more years to reach its full potential. The palate is ample, intense yet elegant and mouthwatering. There is no extra weight, and the long dry finish is supported by a ripe acidity. It really feels intense and indestructible. Both the granite and sun have shaped this wine!